Population growth is not considered as an act of nature as it is a choice of human beings to procreate. 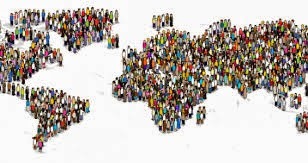 With that, it is safe to safe that humanity can prevent population explosion and avoid problems associated with a large population such as lack of social services, hunger, social chaos, and different forms of societal problems. At present, the world’s population is fast approaching the 8 billion levels as there are nearly 140 million people added annually with only less than 50 million death rates. Some of the interesting yet troubling facts about Earth’s population are that more than one billion people lack ample food and potable drinking water. More and more people are living in unsafe areas like flood prone plains, tsunami exposed areas, crime infested cities, and among others. The gap between the rich and the poor becomes more obvious each time a new baby is born as such social problems becomes more difficult to address and compounding more problems are the environmental effects of increasing population. The Philippines has one of the highest population growth in Asia pegged at 2.04% yearly. As of 2014 estimates, the country has now more than 100 million Filipinos. Yes, despite huge efforts of the government to curb population, birth rate remains explosive, the Philippines now ranks as the 12th most populated country in the whole world. As income opportunities in rural areas become scarcer, Filipinos are migrating in the urban jungle and add more problems to different cities in the country. It is interesting to note that the most populous cities in the country are situated in the Greater Manila area and only three from outside of this region. Quezon City – As of last estimate, it has a population figure of more than 2.1 million people. 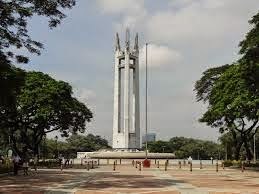 It is part of the Metro Manila region and is the largest city in this area. This was once the former capital city of the country and is home to many national government offices. It also hosts several headquarters of private companies and a huge portion of this city is considered as residential areas. Manila – Do not confuse this with the entire Metro Manila region, as this city refers to the old Manila City and is home to more than 1.6 million Filipinos. 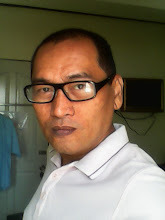 It is located near Manila Bay on the eastern side and has Caloocan, Navotas, Quezon City, and San Juan as border cities. It is the most densely populated area as it has only nearly 2,500 hectares in terms of land area. It is also home to many national government offices, educational institutions, and private companies. 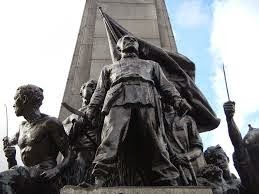 Caloocan City is one of the most historically significant cities in the country as this city was the center of revolutionary activities of the Katipunan; a secret revolutionary society during the Spanish period. The city is home to many residential villages and some few private company headquarters and warehouses. 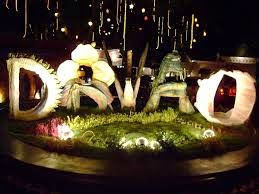 Davao City is one of the premier cities in the south, Davao City has transformed from a “no man’s land” city during the eighties to become one of them most liveable and child friendly cities in the world. It has more than 1.4 million Filipinos as of last estimates. It has a total land area of 2,444 square kilometres, making it as the largest city in the country in terms of land area. Davao City is one of the main trading centers and hub of commerce and industry in Mindanao. 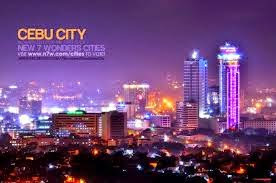 Cebu City is considered as the second city in the Philippines as Cebu is considered as the second most significant city in the country after Metro Manila in terms of trading, commerce, and industry. This city has a population count of 886.771. The city is tagged as the “Queen City of The South" and is home to more than 80% of shipping companies in the entire country. Cebu City is also home to many premier educational institutions in the country. Zamboanga City is known as the “Asia’s Latin City.” It has a population figure of more 800,000 Filipinos and the 3rd largest city in the Philippines in terms of land area. It serves as the center of commercial and industrial activities in the entire Zamboanga Peninsula Region. It formally became a city on February 26, 1937 and became a chartered city on October 12, 1936. Taguig City is one of most highly urbanized city in the southern part of Metro Manila. It was once a fishing community and now has a population of over 644,000 Filipinos. It is home to one of the business centers in Metro Manila; Fort Bonifacio. It is bordered by Laguna de Bay on the western side, Muntinlupa in the south, Pasay in the west side, and Pasig on the North. Antipolo City is roughly 25 kilometers away from Metro Manila and is the largest city in the CALABARZON area. With a population of more than 677,000 people, it is known as the “Pilgrimage Capital of the Philippines” as thousands of Filipinos troop to this city each year to pay respect to the Virgin of Antipolo. 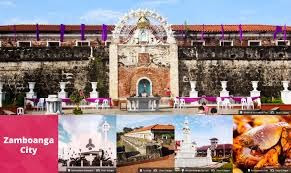 It became a component city of Rizal Province on April 4, 1998. It also provides an excellent panoramic view of Metro Manila during night time. Pasig City first became a rural resettlement area before it became a residential and industrial area over the years. 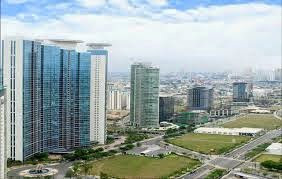 At present, it is now one of the most commercial areas in the country after the Ortigas Center was finally constructed. Valenzuela City is located 16 kilometer away from Manila City and is classified as a first class city and highly urbanized as mandated in Republic Act Nos. 7160 and 8526. It has a population figure of more than 580,000 people. It is bordered by Meycauyan, Bulacan in the north side, Quezon City on the east side, Malabon on the west side, and Tullahan River on the south side. This year 2015, the Philippines will conduct another national census which will find out which cities will be dislodged, added, remain or move up or down this list.